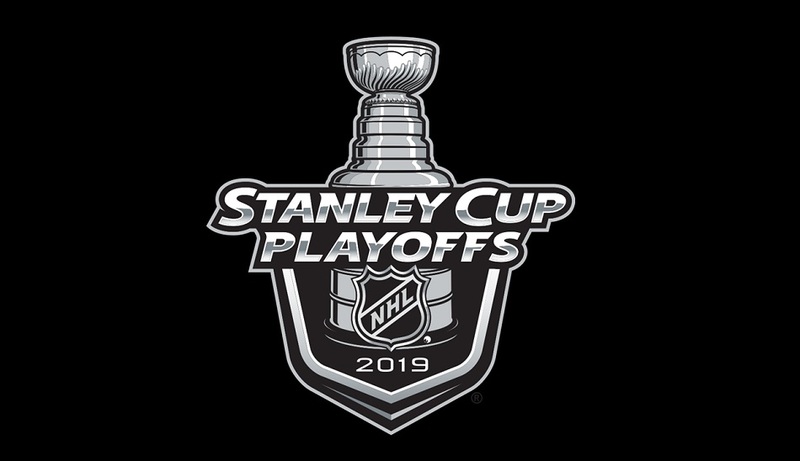 Every hockey fan’s favourite time of the year is about to begin, with the first round of the 2019 Stanley Cup playoffs. This year, the Montreal Canadiens will not be participating, having been eliminated on the second last day of the season. 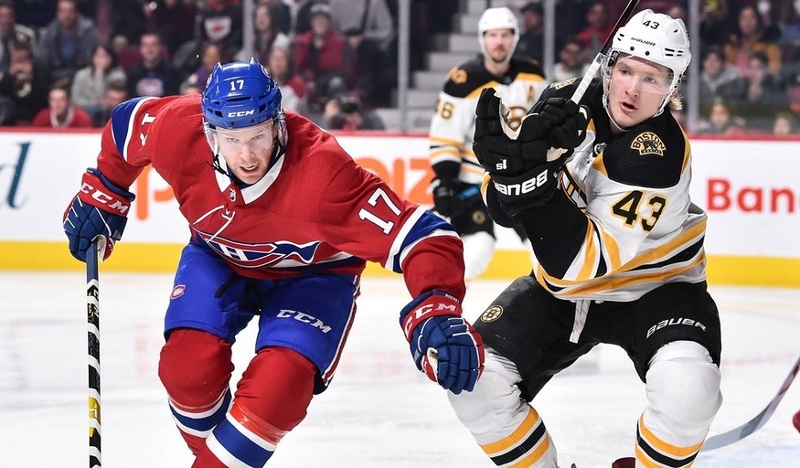 The HabsWorld experts gaze into their crystal balls to predict who will win their series and how they’ll do it. Today is the first article of two parts, based on games that begin tonight. Tomorrow’s article will focus on the games starting Thursday night and later. 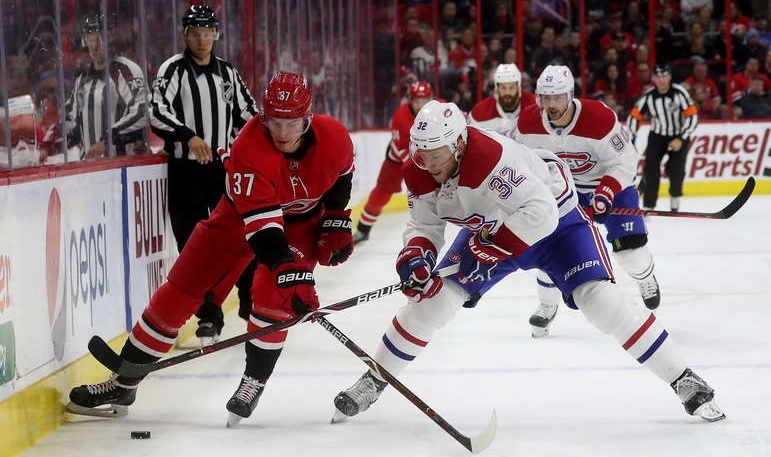 Bragging rights are on the line in HabsWorld pool land with a point system in place for accurately predicting the winners and the correct number of games for each series. (Norm) Although Pittsburgh was expected to finish somewhat higher this season, there was no one expecting division rivals like the Islanders and Carolina Hurricanes to rise so far in the standings. With stars Sidney Crosby and Evgeni Malkin, no one in the league can provide the same one-two punch up the middle. Add a supporting cast of Phil Kessel, Jake Guentzel, and Kris Letang, they boast the best group of “been there, done that” hockey cast, with Stanley Cup wins in 2016 and 2017. The Islanders are one of the best bounce-back stories of this season. Hiring head coach Barry Trotz helped bring this team into contention, vastly improving their no-name defence. In goal, Robin Lehner had a huge renaissance, after bouncing in and out of the crease while in Ottawa and Buffalo. Coupled with backup Thomas Greiss, the two netminders led the league with 11 shutouts. Mathew Barzal slipped in his sophomore season with 62 points but he’s surrounded with good depth up front with veterans Anders Lee, Brock Nelson, Jordan Eberle, and Anthony Beauvillier. I believe the postseason experience will be enough of an edge for the Black and Gold to advance. (Kevin) This is the hardest matchup to predict in the East. The Penguins finished the season strong, yet still find themselves as the playoff team with the least wins in the East. Neither team has a vaunted blueline yet the Islanders commitment to team-defence under Trotz has them poised to stifle the big scoring guns of the Penguins. Neither team boasts a top-notch goaltender, yet Greiss has been stellar at times for the Islanders. Pittsburgh holds a definitive advantage talent-wise, yet New York’s fourth line of Martin, Clutterbuck, and Cizikas can create so much havoc against a Pens team that has little depth. For me, this series will be played in the Pittsburgh defensive zone. They’ll lose the games where the Islanders can score because the Islanders’ lack of scoring has been their downfall all season long. But Pittsburgh’s long list of big-game moments over the last decade should be enough to propel them to a win in this series. (Brian) The Islanders were one of the top surprises of the regular season (Carolina’s in that mix as well) but I just don’t trust them. Robin Lehner and Thomas Greiss had great regular seasons but I have a hard time putting my trust in them to win a crucial playoff series against a high-scoring (and healthy) Pittsburgh squad. The Penguins haven’t had a great regular season but I think there’s the proverbial switch that will be flipped that will get them back on track. And besides, Washington and Pittsburgh have to face off against each other, don’t they? (Jonathan) The Islanders managed to be the best defensive team in the league and their tandem won the Jennings. But having at least one of Crosby, Malkin, Kessel, and Guentzel on the ice for most of the game will be impossible for even Barry Trotz to deal with. (Craig) The Islanders have been one of the NHL’s best stories this season and even have home ice advantage against the veteran Penguins. However, it’s pretty clear that New York is the underdog here. They’ve ridden tremendous goaltending from Lehner and Greiss to a playoff spot, but I don’t think they can hold up against the likes of Crosby, Malkin and Kessel (for starters) in a playoff series. (Norm) I give the Blue Jackets GM a lot of credit for all of their gutsy trade deadline moves to shore up the team. In the end, it gave them the first chance to face the best team in the regular season, The team has some bright spots with star goalie Sergei Bobrovsky and Artemi Panarin. However, the team has been very inconsistent all season, possibly due to the in-season rumours of both players not wanting to re-sign when they’re eligible for free agency this summer. With defencemen Seth Jones and Zach Werenski, the Blue Jackets have one of the best defending duos in the league. The Lightning were so dominant this season, with Nikita Kucherov leading the league in scoring with a career-high 128 points. Captain Steven Stamkos quietly produced 98 points, along with forward Brayden Point with 92 points, which were also career highs. On the blueline, Victor Hedman is their best, and in goal, they have Andrei Vasilevsky; both are elite veterans. The team has significant depth at all positions and sufficient experience in the postseason. It would be a huge upset for the Lightning to lose in the first round. (Kevin) As the winner of the Presidents’ Trophy, this is as crappy a first-round matchup as can be. The Jackets finished the season with 47 wins, more than Pittsburgh, Carolina, and Toronto, but find themselves as the second wild-card due to a lack of OTL’s. They have a long list of top-end talent and will be looking to impose a physical brand of hockey on the Lightning. While Tampa holds an advantage at forward, depth, defence, and goaltending, they are all slim margins. In the end, Tampa should come out victorious here. Where things get dicey is that they are likely to be a bruised and battered bunch to get that mission accomplished whereas Boston is likely to skate out of Toronto relatively healthy as the Leafs are not a physical team. Not the greatest forecast for the second round. (Brian) There’s no denying that Columbus has a lot better of a roster than a typical eight seed. They’ve also generally been a tough out in the postseason when they get there. When he’s on, Sergei Bobrovsky is the type of goalie that can steal a game or two on his own and as he showed in the past few weeks, he’s on his game right now. However, Tampa’s not a typical number one seed. They’re one of the most elite teams we’ve seen in a long time and their firepower is nothing short of lethal. Even if Bobrovsky’s at the top of his game, the Lightning should be able to get a few on him most nights and Andrei Vasilevskiy’s no slouch at the other end either. This shouldn’t be a cakewalk but Tampa Bay will move on. (Jonathan) The Columbus Blue Jackets spent big at the deadline but Tampa is too good and too deep. The Bolts will shred the Jackets like they are Steve Buscemi in Fargo. (Craig) Can anyone beat the Lightning? Maybe, but it won’t be the Blue Jackets. Tampa Bay is well coached, experienced, and have elite players at every position. While the Jackets were impressive as they turned it on to end the season and make playoffs, they’re simply no match for the Lightning. (Norm) The Blues have been perhaps the hottest team in the league since January, finishing the season with a 29-9-5 run. Considering St. Louis was out of a playoff position at the end of December, it’s a remarkable team comeback. The key to their success will be 25-year-old rookie goalie Jordan Binnington, who wrestled the starting role away from incumbent Jake Allen, who has struggled as the team’s #1 goalie for several seasons. Another remarkable regular season was enjoyed by forward Ryan O’Reilly who managed a career season in points with 77 and assists with 49. The big centre fit in well after an offseason trade from Buffalo, and although he was expected to be given second-line responsibilities due to his two-way play, he was so consistent and productive that he rose to the first line early in the season and stayed there. Conversely to the Blues story, the Jets have struggled during the last few months. Their top goalie Connor Hellebuyck had a good season, but due to his early-season slow start, his goals against average rose over a half a goal per game, while his save percentage suffered significantly. Star winger Patrik Laine slumped with his lowest goals and points in his 3 seasons in the league. However, Blake Wheeler scored 91 points to match his career high, set last season. I like the Blues advantage in 5 on 5 situations, especially with the Blues penalty killing is as excellent as the Jets power play, which basically neutralizes each other. (Kevin) In the most difficult series to call in the first round, the big physical and experienced Jets take on the speedy and red-hot St. Louis Blues. The Blues finished the season on an 8-1-1 stretch to equal the Jets in points. The Jets remain the home-ice advantage holders, but they must find that extra gear in a hurry or else they could find themselves without said home-ice advantage quickly. My personal opinion is that I prefer the Jets top-end talent but St. Louis’ depth for both forwards and defence. Where St. Louis scares me most is in the crease as both Allen and Binnington are unproven in this scenario. Many experts don’t like this matchup for the Jets. I’ll bet that it’s the early wake-up call they need to get rolling and go deep. (Brian) I really like Winnipeg’s roster. I think it’s one that’s built to go deep in the postseason. However, something has been off there for a while now and the rumblings of conflicts in the dressing room are at least concerning. However, a now-healthy Dustin Byfuglien and the return of Josh Morrissey will give them a big boost on their back end (and get Nathan Beaulieu out of the lineup). St. Louis deserves a lot of credit for their turnaround and Jordan Binnington has shown that really all they needed was good goaltending. However, I have a hard time trusting that Binnington, with his limited playoff experience, can carry them through a series. I think he can steal a game or two though which, coupled with a decent attack, makes this the closest series to call. (Jonathan) Although the Blues have been hot, I believe the Jets will turn the tides. The Blues will be the Blues that the Central Division has learned to love and not be able to get it done in the playoffs. (Craig) The Jets haven’t looked much like the team from last season thus far with Patrik Laine struggling at times and some significant injuries holding them back. Meanwhile, on the strength of a sensational rookie season by goaltender Jordan Binnington, the Blues fought their way back into the playoffs. This one should be tight, but the additions of Kevin Hayes and, more importantly, the return of Josh Morrissey allow the Jets to squeak through. (Norm) Dallas is easily the underdog in this series, but may surprise a few fans. Forwards Jamie Benn and Tyler Seguin have no equal in the Predators lineup. In the past, both have been big offensive contributors. This season, Benn’s numbers have regressed to 53 points, his lowest number excluding the 2012-13 lockout season. Seguin had his second best scoring season to date to lead his team. Former Hab Alexander Radulov was second in team scoring with 72 points. Defenceman John Klingberg was the team’s quarterback while scoring 45 points despite missing 18 games. Big goaltender Ben Bishop had his best goals against and save percentage, partly due to the team’s increase focus on defence. Nashville won their division again. Like Dallas, their goaltending is stellar. They have a huge advantage on defence led by their top four of Roman Josi (second leading point scorer), Mattias Ekholm, Ryan Ellis and ex-Hab P.K. Subban. Up front, their big gun was Ryan Johansen with 64 points. Key wingers Filip Forsberg and Viktor Arvidsson lost 42 games to injuries between them, but still produced 98 points combined. Pekka Rinne had another impressive season. Outside of their top line, no one from the Stars lineup frightens the Predators to score. I expect a somewhat easy path to the second round for Nashvile. (Kevin) This series is without a doubt Nashville’s to lose. Top-end talent is well matched, and then Nashville holds the edge in depth, speed, defenders and goaltending. However, the Stars could tilt this scale by matching their top line to Nashville’s second defensive pairing that has been somewhat out of sorts for much of the season. Then again, Subban tends to be a big-game player, so even that theory might not be worth very much. The Stars are in tough, and I’m not convinced Bishop (and his theatrics) can save them here. (Brian) Despite a pretty good group of forwards, scoring has been an issue for Nashville. Despite a not-so-good group of defencemen, Ben Bishop was on fire down the stretch. This is not a good combination for the Predators who I think are vulnerable for the early exit. This could very well be the lowest-scoring series as Dallas has trouble scoring beyond their top group (a healthy Mats Zuccarello helps give them a second line capable of doing something) but I think that plays into the hands of the Stars more than Nashville despite their elite defence corps. (Jonathan) This could be one of the more exciting series despite the fact that these are two of the three stingiest teams in the league. Lots of star power and speed in this series. Radulov will be a force but Nashville will figure out the PP and win the series. (Craig) Much like their Central Division rivals the Winnipeg Jets, the Predators have been far from their dominant selves this season, but they were able to squeak out a division title, allowing them to avoid St. Louis. Instead, they get a Dallas Stars team that rode a red-hot Ben Bishop to a playoff berth. Coupled with elite talent in Seguin, Klingberg, and Jamie Benn, the Stars could prove to be a handful. However, the Preds still boast one of the best defensive units in the league, allowing them to make short work of the Stars. (Norm) This may be the most interesting series of the first round. The Sharks have a high powered balanced offence with veterans Joe Pavelski, Joe Thornton, Evander Kane, and Logan Couture. On the blueline, they have a top trio that is the envy most other teams, led by Brett Burns who led all defencemen in the NHL with 83 points. Supporting him are Marc Edouard Vlasic and Erik Karlsson. In goal, Martin Jones had a disappointing season while playing in 62 games, although he has been a solid playoff performer in the past. This season the Vegas top line of Jonathan Marchessault, William Karlsson and Reilly Smith did not repeat the same high level of offence. A new offensive line formed by former Hab Max Pacioretty, Paul Stastny and Mark Stone appears to have usurped that #1 line in production. Their defensive corps remained mostly the same, with the exception of veteran Nick Holden. In goal, Marc-Andre Fleury had a good season while staying relatively healthy in the 62 games he played. In the end, Vegas will not have the same magic as last season’s playoff run, but will push the Sharks to the limit. (Kevin) In my eyes, this is the most lopsided matchup in the entire first round. Vegas is no longer playing with house money, and their moves after their inaugural season has been for players that aren’t difference makers at this time of year historically. The Sharks have better (though aging) top-end talent. The Sharks have better depth. I also prefer San Jose’s blueline and physicality. This leaves one area that can make the difference for Vegas and that’s Marc-Andre Fleury in the crease but that seems far-fetched to me, and this doesn’t feel like last year’s Cinderella team. I’m not a fan of picking a team to sweep, but I figure I should do it at least once in the first round. So here it is, against my better judgement, the Vegas show ends early this year. (Brian) This is a series that will come down to goaltending. Marc-Andre Fleury has a good postseason track record while Martin Jones has had a shaky season, to put it nicely. Both teams loaded up with key additions just before training camp and during the season so there isn’t much of an advantage there. If Erik Karlsson is healthy, he can make a huge difference for the Sharks but I don’t think he’s anywhere near close to 100%. It all points to Vegas pulling off the minor upset. (Jonathan) We know Max Pacioretty won’t make an impact on the series; he’ll be so scared of everything. Despite that, the Knights will win. Mark Stone will be a force and I don’t trust Martin Jones. (Craig) I found this series the toughest to call, and it has the potential to be fantastic. Though the Sharks haven’t been playing well as of late I still believe in their deep forward group and the re-addition of Erik Karlsson to the lineup makes them just too tough. The Golden Knights make it interesting, but no fairy tale run for them this year.